TripleStore – Beechglen Development Inc. Tired of tape backups? Backup job hangs? Tapes that are off site when you critically need them? the primary copy is to local user volume MPE/iX storage; this allows for the fastest backup and recovery procedures. a secondary local copy is sent via SFTP to a network connected Linux Appliance. the third copy is then encrypted and placed on removable solid state disk (SSD) to send to secure off site storage. Backups can fail due to human error. Failure to mount a tape, loading a write-protected tape, or mounting the wrong tape can lead to failed or invalid backups. By removing tapes from the process and automating the backup routine, the human factor is eliminated and daily backups run to completion with no operator intervention required. TripleStore employs an online backup strategy allowing users to remain on the system during backups, virtually eliminating daily system downtime. TripleStore further reduces downtime caused by the repair of faulty tape drives. Tapes have a limited shelf life and can be easily damaged due to extreme temperatures, variations in humidity, other environmental factors, or even by merely loading them into a tape drive. Making backup copies on more permanent media such as flash drives, portable drives, or solid state disks significantly increases the longevity and reliability of backups. 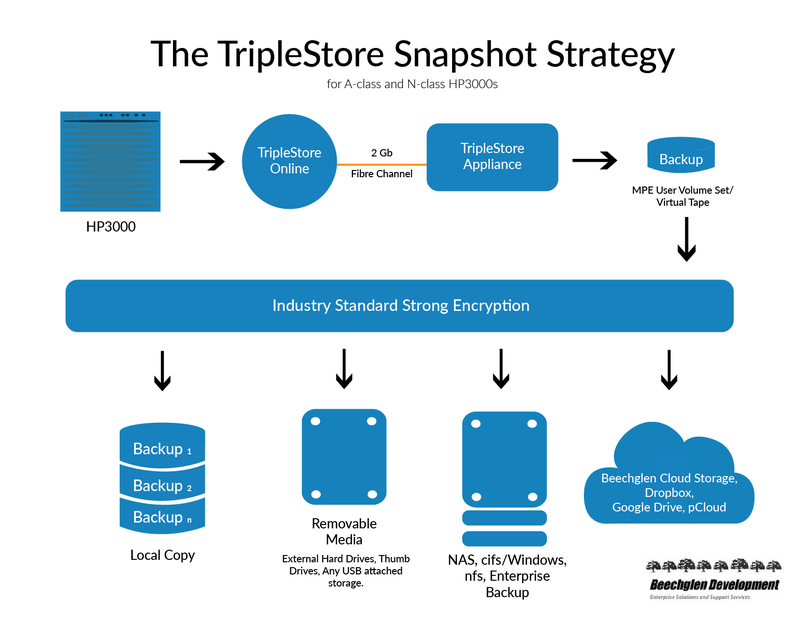 TripleStore ensures backup safety and data protection using industry standard des3 encryption to meet PCI, HIPAA, and SOX auditing requirements. 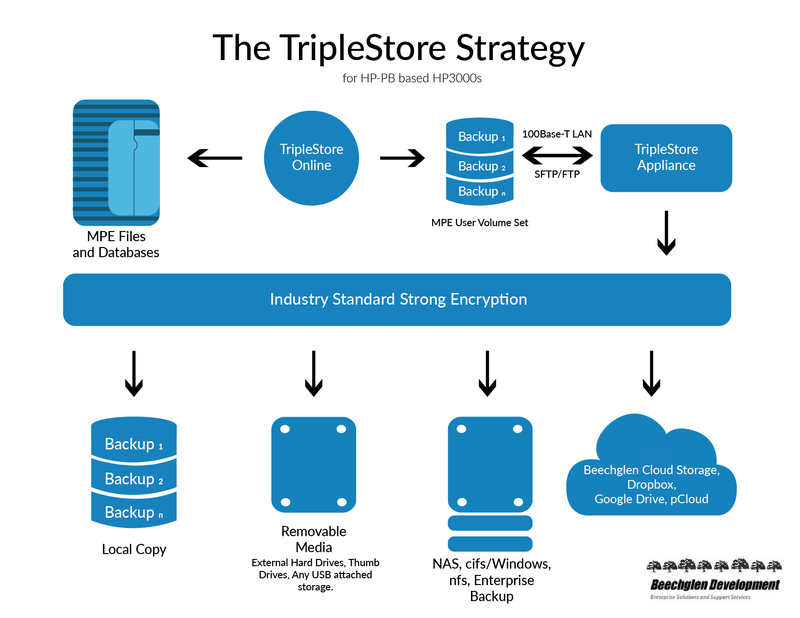 TripleStore can be tailored to virtually any backup strategy and retention cycle.